Jerry Springer was on CNN and all on Donald Trump stated that the statue of liberty is the symbol of America not a wall. 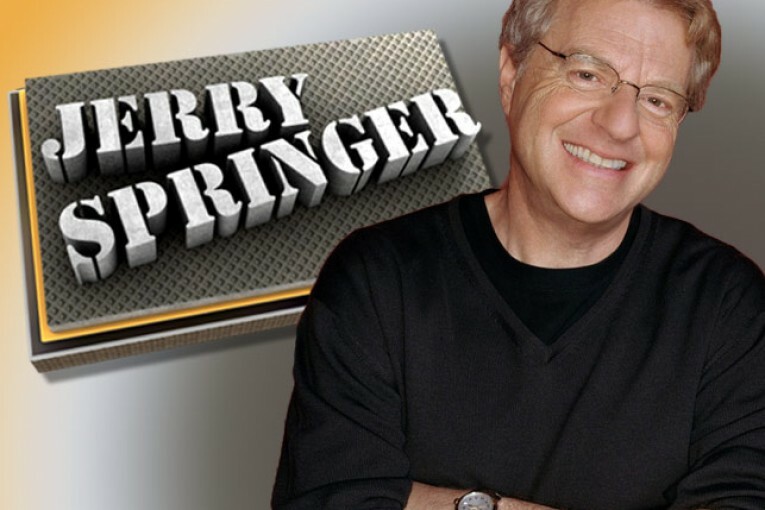 Jerry Springer stated that Donald Trump may win the Republican race, but he would not win presidential race because once you get all of Hispanics, African-Americans, women and the rest Americans in as a whole there is no way that he can compete nor will he get elected as president. He also went on to state that no one is going to want Donald Trump’s finger on the button. CNN came back a Jerry Springer and reminded him that he had one of the worst television shows ever. Jerry Springer responded by saying “if you look closely at the screen. You will not see one person on the show that has ran for president. That’s the difference.” Jerry also stated that his show was for entertainment and that it was stupid. He is said that for many years and that the show is what it is. Jerry Springer basically went on to compare Donald Trump’s presidential run to a bad reality show stated that this is real in. He also stated that he would not want anyone that is in on the show to be president of the United States. Jerry Springer seemed to be very adamant that he does not in no way no house for Donald Trump for president. Jerry Springer and Donald Trump both had successful reality shows and I both heavyweights when it comes to television popularity.